James Willshire talks to pianist ahead of his performance of the monumental masterpiece, 'Ten New Debussys'. One minute of a Debussy solo piano piece + four minutes of audible development away into the 21st Century composer’s own soundworld = an equation destined for brilliance. 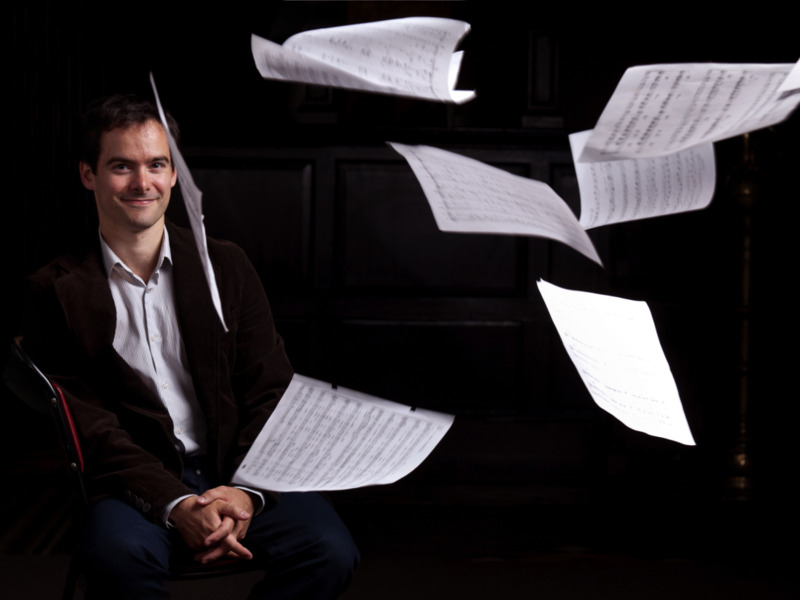 Ten New Debussys is a truly fascinating and exciting concept that will be led on piano by British pianist James Willshire, who worked with a number of established and rising contemporary composers on the project. Over half of the composers to contribute to this project are women, which follows the Late Music Series’ 2017 successful commitment to deliver a season featuring 50% of female composers and performers. With this music coming to life this Saturday 1 September in York, UK, we had a quick talk with James himself about the project, along with his playing advice for you; our readers. 1. You will be performing the ‘10 New Debussys’ project as part of the York Late Music Concert Series in York on 1st September. The idea of playing 1 minute of Debussy before moving the piece away into the composer’s own sound world is one we are very fascinated by. Can you tell us more about this? The idea originated from the composer David Power. He wanted a project where composers were challenged not just to write a piece in homage to Debussy, but to actually take on Debussy’s sound world and from there to find their way back. The question for the composers is, how do you actually take music written around 1900, and add music written in 2018, and then put them together in a way which is convincing to the audience and faithful to yourself? 2. How big an impact has Debussy had on your own playing over the years? French music has played a large part in the development of my playing, because – more than any other music – French music requires the subtlest nuances of colour. Debussy demands precision from the finger, and huge control over texture – he writes in aural 3D, so you have to almost see, and see through, the sound to create the layering his music needs. 3. How rewarding was it to work with these great composers on this project? What is one thing you learnt from them? I always enjoy working with composers on new repertoire. The most fascinating thing about this project has been seeing how each composer has taken their chosen Debussy quote and emerged their own work from it. Some have started with as little as a line of Debussy, others with a whole page. Nicola LaFanu places the Debussy quote at the end of her work. 4. For our readers…is there a quote or piece of advice that has stuck with you throughout your career? Not really a quote, more a principle. My Father, when I was growing up and learning what to do at the keyboard, would never let me get away with not listening. For him, a lack of positive, intent, listening to the sounds that you make was almost the worst mistake you could make as a pianist. That has stayed with me. 5. Do you have any upcoming projects to tell us about? Well this year I have been working on my Debussy 2018 project where I am performing all of Debussy’s solo piano music throughout the year. This project culminates in a Debussy Festival that I am curating at St Cecilia’s Hall in Edinburgh on the 1st and 2nd December. On those two days I will be performing all of the solo piano music by Debussy – all 5 hours of it! – and there will be concerts of other works by him as well. You can still purchase tickets to this Saturday's performance here.